South Carolina tennis court resurfacing and repair is available through your local SealMaster store. The best tennis court contractors in South Carolina use SportMaster Sport Surfaces and are available for free quotes, upon a site visit and consultation. Whether you are looking for tennis court repairs, resurfacing, or building a new tennis or basketball court, it is important for the contractors to evaluate the current conditions and issues before an accurate cost is provided. 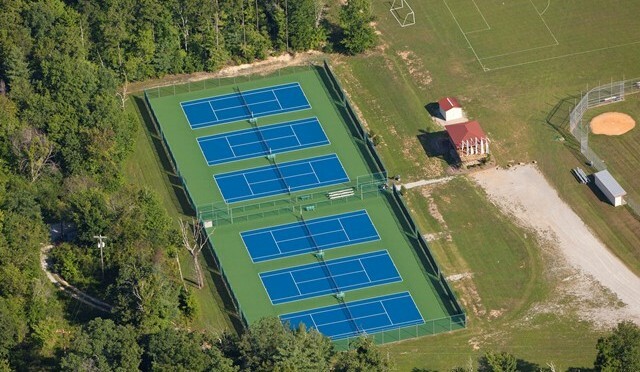 SportMaster tennis court surfaces are stocked and supported throughout the state of South Carolina. As a tennis court coating system manufacturer, we are here to to assist architects/specifiers, contractors, and court owners. We can recommend qualified tennis court builders and resurfacing companies in South Carolina to court owners and facility managers. It is important to select an experienced contractor that can handle your project and provide a competitive cost, without cutting corners and sacrificing quality.